As you may know, winter is one of my favourite seasons to escape to the country. Things are less busy and accommodation, in general, is much cheaper. 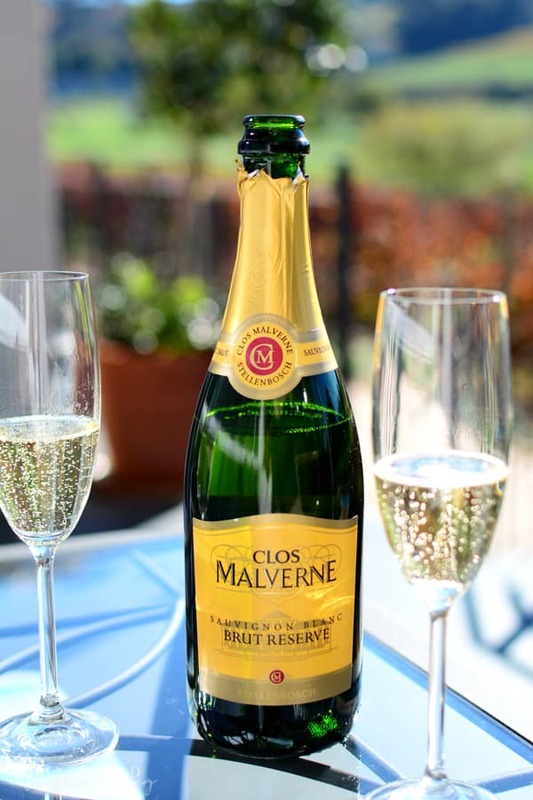 We recently spent a night a Clos Malverne Wine Estate to enjoy their Winter Lifestyle Package. 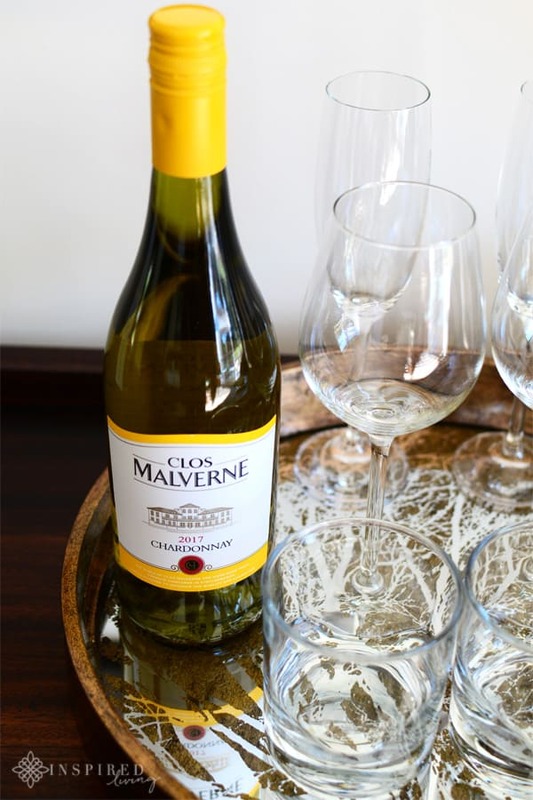 Clos Malverne Wine Estate is the ideal place for a Winter Escape. 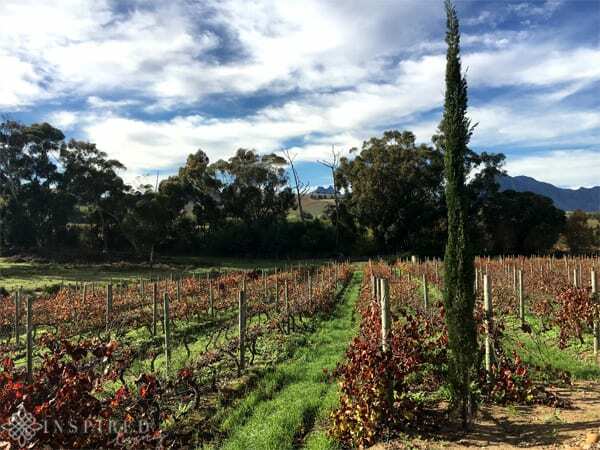 The 27-hectare estate lies on the slopes of the picturesque Devon Valley, in Stellenbosch. 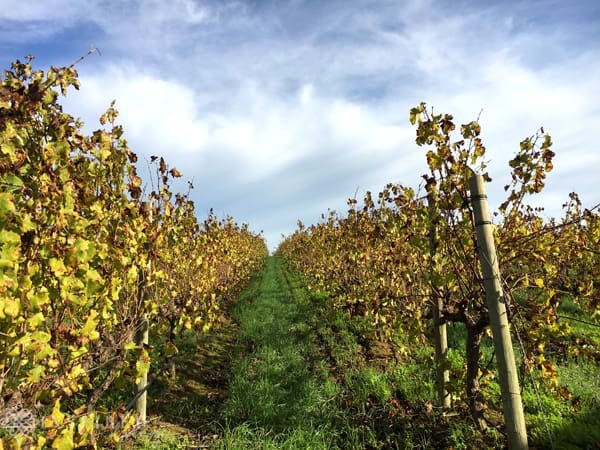 The family-run farm prides itself on producing excellent handcrafted wine. They are one of only a handful of wineries in the world that still use the traditional Basket Press. The Basket Press is one of the oldest methods of pressing grapes. Initially developed by the Ancient Greeks and Romans, and later perfected by the French, making it one of the earliest styles of a mechanical press. 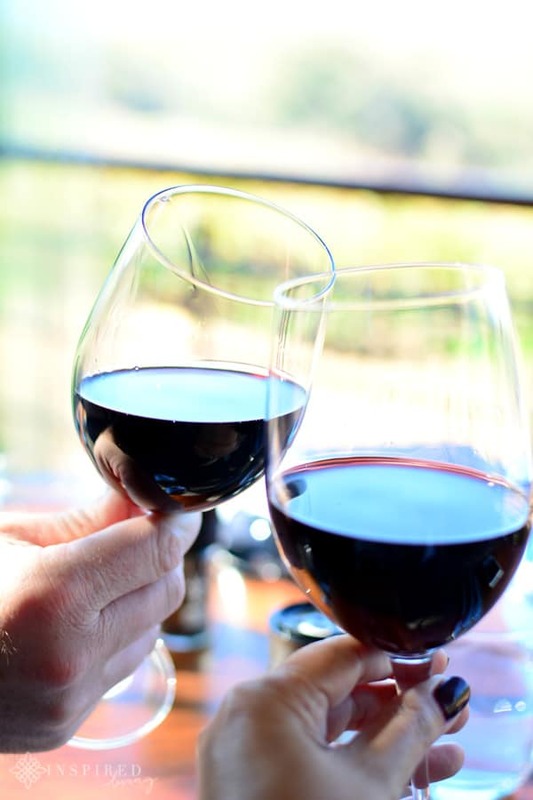 Although time-consuming, the results produce a soft, elegant wine of great complexity. 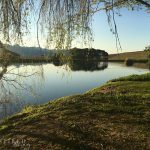 Clos Malverne Wine Estate is offering guests the perfect winter escape package, in a picture-perfect setting. If you are in need of a relaxing and rejuvenating getaway, then this is the experience for you. The tailor-made Lifestyle Package includes two nights’ accommodation for two people in one of the estate’s luxury units. 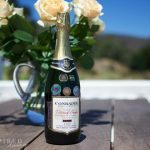 Also included is a delicious four-course Food & Wine Paired lunch at their highly acclaimed restaurant, a Pure Bliss Couple Spa Treatment, as well as a parting gift of some of the estate’s Award-winning Wines to take home. The cost for this unique getaway is R4 950 for two people and will be available until the 30th September 2018. The tranquil surroundings and breathtaking scenery complete what promises to be the perfect winter getaway. The package is ideally suited to couples but would be equally great for a girls country getaway. Guests can choose from 9 luxurious rooms, each one stylishly decorated and equipped with a flat-screen TV with satellite channels, air-conditioning, free Wi-Fi & spacious bathroom. 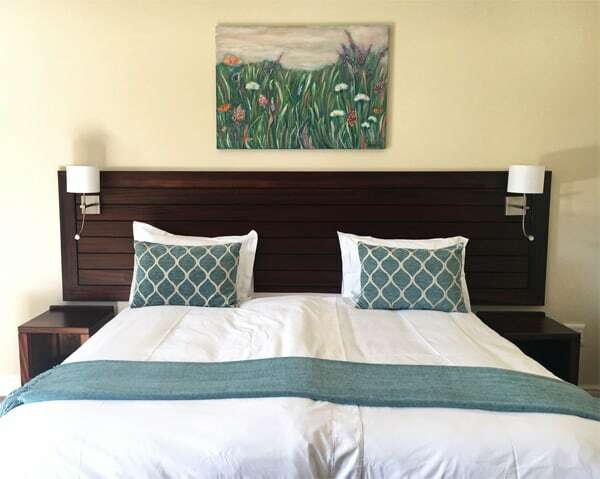 Each suite is named after a wine varietal, adding to the Winelands charm. There is also a Self-Catering Guest House. It has two bedrooms, each with a full en-suite bathroom and extra length King size beds. 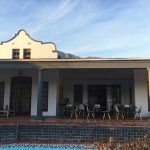 The guest house also has a fully equipped kitchen, dining room, lounge with fireplace, patio with bbq area and front veranda with breath-taking views. The self-catering guesthouse has a flat-screen TV with satellite channels, air-conditioning and free parking & Wi-Fi. Grant and I stayed in “Semillon” for the night. Our suite was tastefully decorated with calming tones. It overlooked the pool area and had the most stunning view of the valley. 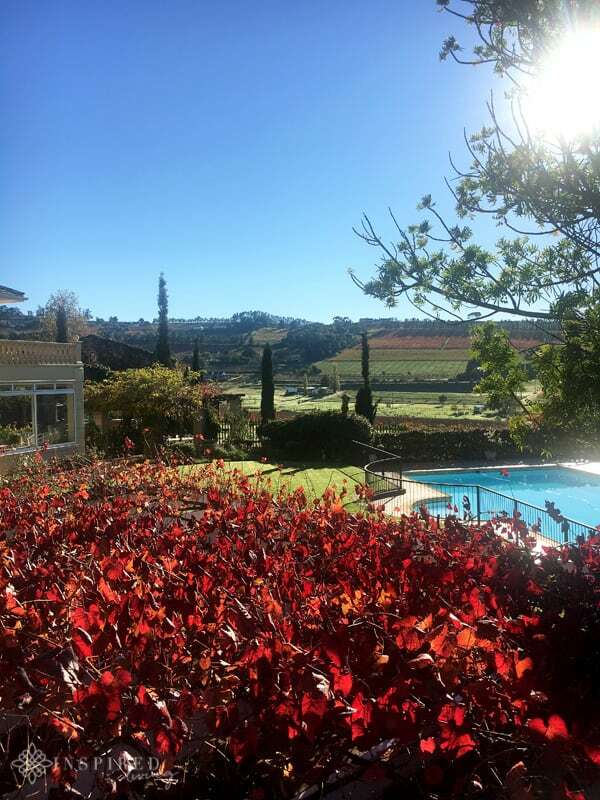 We could not have asked for a more perfect winters day. Naturally, we wasted no time settling on the veranda, to enjoy a glass or two of the estate Brut Reserve. After relaxing on the veranda and soaking up the sun, it was time to head off to the restaurant for lunch. We were both starving and very ready for our four-course wine paired lunch. My first thought as we sat down at our table, was how breathtaking the panoramic view is. I don’t think a lunch setting could get any better. As impressive as the setting, was the fact that the restaurant was able to offer me an entirely gluten-free, wine paired menu. Below I have highlighted a few of the standout dishes we enjoyed, which will hopefully give you an idea of exactly how fantastic our meal was. My first course of Half Shell Mussels was the standout dish of the day. 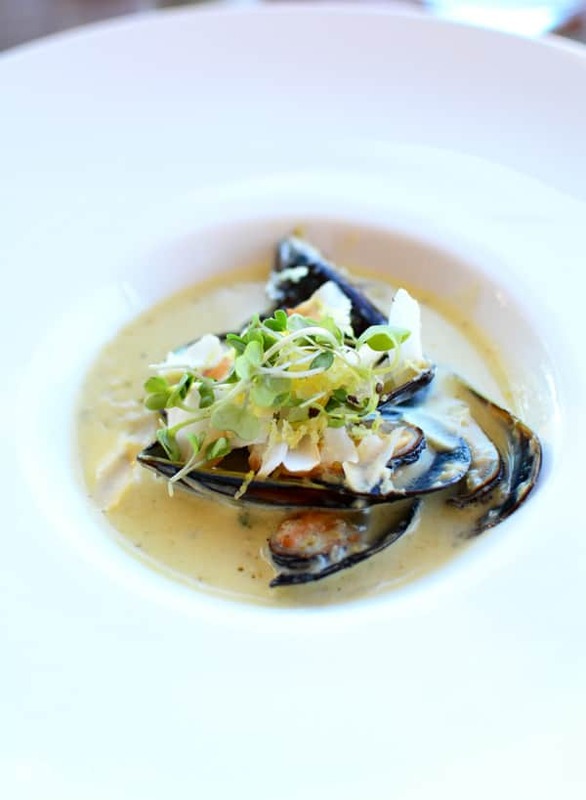 Half shell mussels served with the most amazing Thai curry sauce, lime zest, toasted coconut flakes, coriander, crispy calamari and lemongrass, was paired with the Malverne Sauvignon Blanc. A truly excellent combination of flavours with just the right amount of chilli heat. 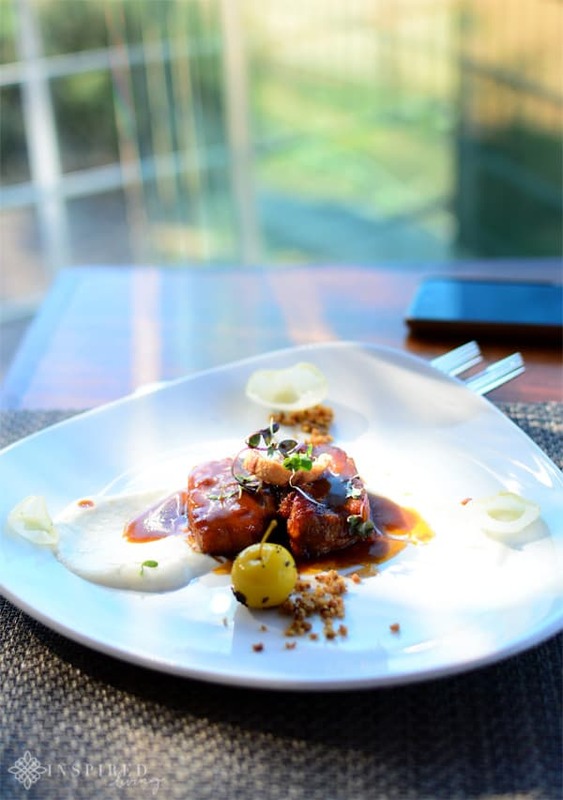 The next dish to impress us was the Star Anise Pork belly, with cauliflower puree, roasted baby onions, pistachio praline crumb, baby apple and star anise jus. 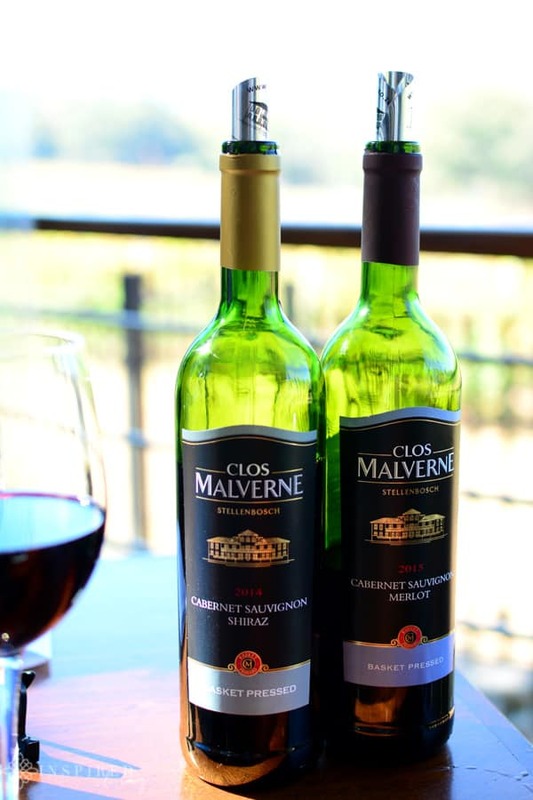 The wine pairing was the Clos Malverne Cabernet/Shiraz. Grants Line fish was yet another fantastic dish. Served with a prawn bisque cream, salt and pepper calamari, lime-basil mashed potato, salmon caviar and baby marrow spaghetti. 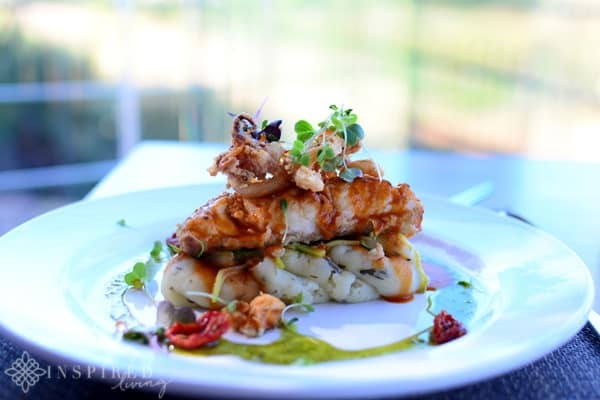 The line fish was paired with the Clos Malverne Sauvignon Blanc. 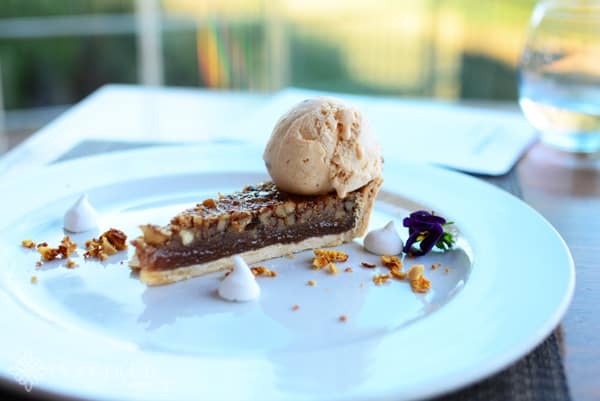 The standout dessert of the day was the Pecan Nut Tart, with the most delicious carrot cake ice cream, honeycomb and cinnamon meringue. Pairing it with the Clos Malverne Pinotage Le Cafe, was a perfect combination. 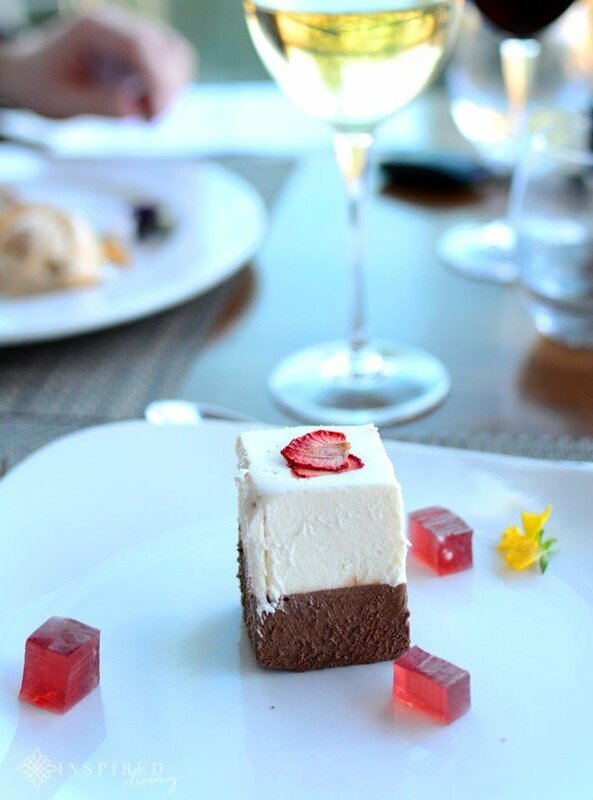 My gluten-free option was “White and Dark Chocolate”, which consisted of white and dark chocolate mousse, strawberry jelly, and strawberries, paired with Clos Malverne Honeydew. I do not think that I can adequately express how much we both enjoyed our meal. Each aspect was thoughtfully put together, resulting in one of our favourite food and wine paired meals to date. It was also our first time tasting the estate wines, which impressed us no end. The staff were friendly but still professional and knowledgeable about the food and wine. 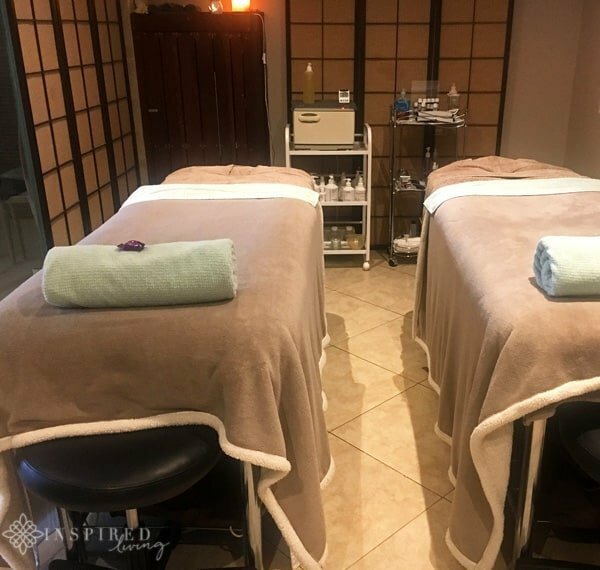 The Spa has two treatment rooms where guests can enjoy a variety of treatments which include facials, manicures, pedicures, waxes, massages. 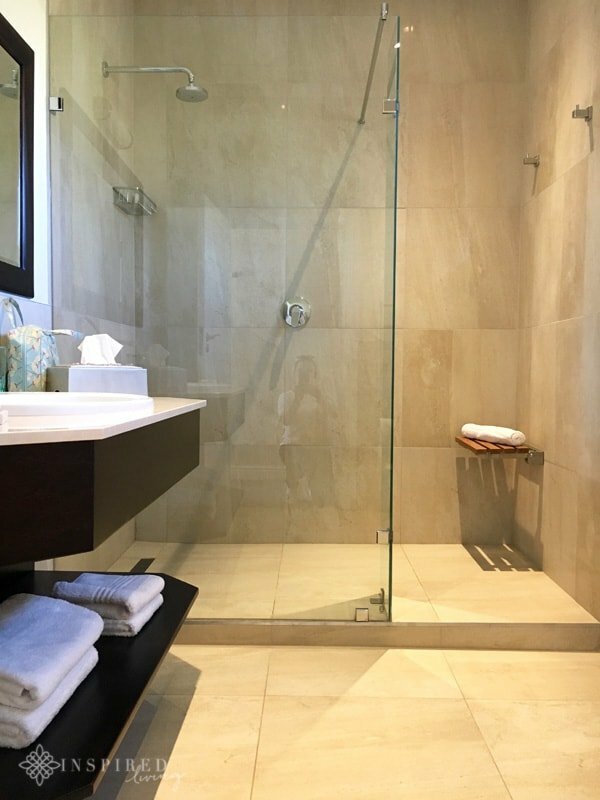 There is also a private wet-room where Grant and I enjoyed a couples neck and back massage. After our treatment, we spent time detoxing in the steam room. Leaving us both feeling completely relaxed and rejuvenated. The Spa is open Monday to Saturday from 09:00 – 18:00 and closed on Sundays. 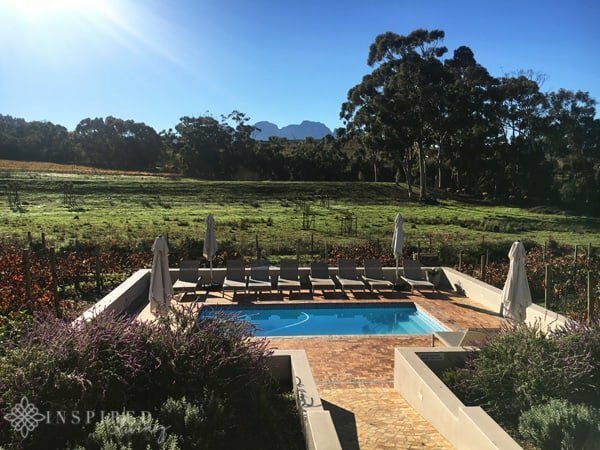 To recap the Lifestyle Package costs R4 950 for two people and includes two nights’ accommodation for two people in one of the estate’s luxury units. 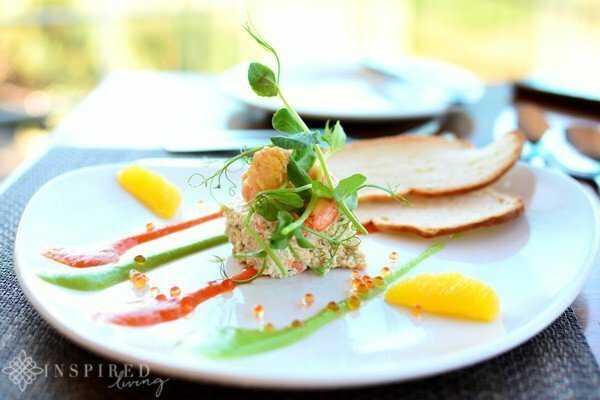 As well as a four-course Food & Wine Paired lunch at their restaurant, a Pure Bliss Couple Spa Treatment, and a gift of a selection of estate’s wines to take home. The Lifestyle package will be running from the 1st April to 30 September 2018. 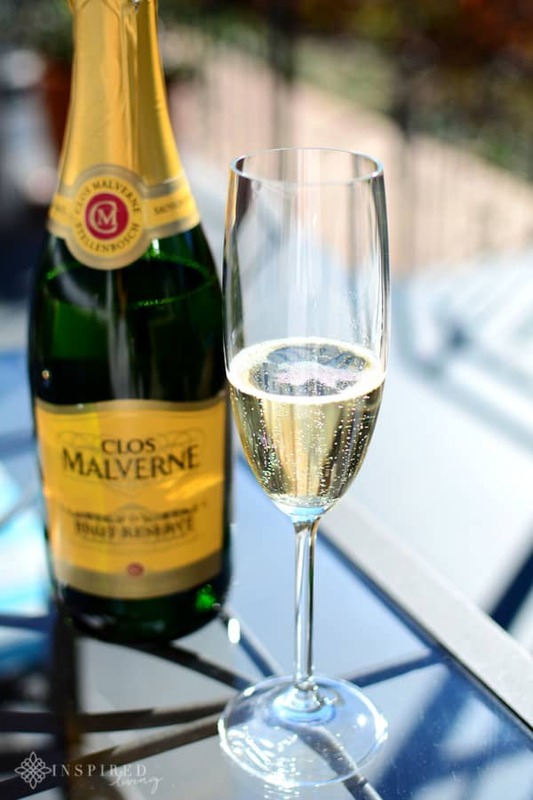 If you would like to make a reservation at Clos Malverne Wine Estate or require more information, contact Michelle Nolte via email, or telephone 021 865 2022. Location: Devon Valley Road, Stellenbosch. If you would like to arrange a review of your establishment, or are in the PR, hospitality or travel industry, and would like to work with Inspired Living, please email fiona@inspiredlivingsa.co.za. We enjoyed our stay, spa treatment and lunch as guests of Clos Malverne. All information provided, including prices, are deemed correct at time of publishing. These are, however, subject to change at the establishment’s discretion. Please note that all opinions, content, and images are the property of Inspired Living or Fiona Rossiter unless otherwise stated. To see more, read the full PR & Disclosure Policy below. 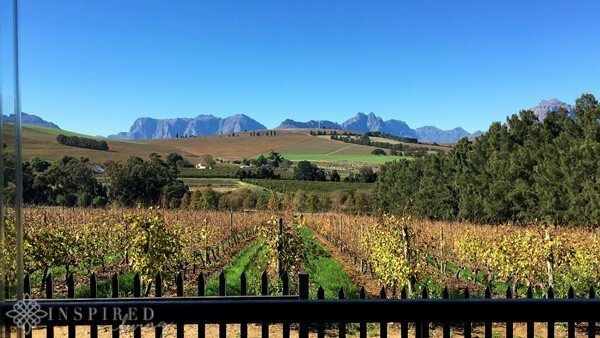 23 years on this beautiful earth and u have never though to take time to visit a wine estate. . .i’ll need to fix that on my next visit to the western cape. Lovely post. 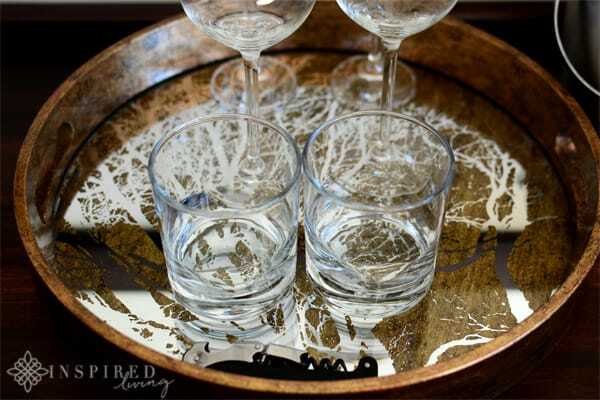 Thank you for visiting Inspired Living! 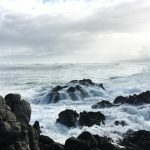 You definitely need to make a plan when you next in the Cape and get out to the Winelands!! !